Antibodies are a necessary and vital component used in our immune response to germs. They are specific for each type of bacteria or virus and we only produce these antibodies after we have been exposed to the germ. Once we have sufficient numbers of antibodies they are able to overcome these germs. The antibody retains the memory of being exposed to that particular germ and therefore helps us to avoid symptoms of disease should we encounter the germ in the future. 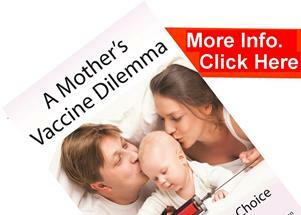 If we can produce enough antibodies via vaccines then we can become immune without having the illness. This is why every vaccine that is passed for public use undergoes trials to demonstrate it’s ability to stimulate the body to produce the specific antibodies against the particular germs in the vaccine. Once the vaccine has been shown to be able to produce antibodies we can be confident that the vaccines are effective at reducing the incidence of the disease. A very small percentage of vaccinated people may however still develop the disease that they have been vaccinated against but their symptoms will be much less severe than had they not been vaccinated. We used to think that the most important component of the immune response to infectious disease were the antibodies. However since 1940 Dr Chase working with Nobel Laureate Dr. Karl Landsteiner demonstrated that a variety of white blood cells were in fact more important than antibodies in our immune response to disease. This means that the core argument about why vaccines are produced and how they work is in fact flawed. 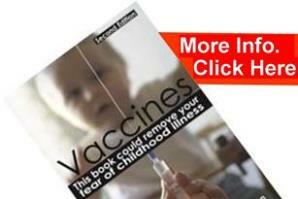 Current vaccine policy is based on a theory of the immune system that is 70 years old and inaccurate. We know that people with no antibodies can still be immune to disease and other people with antibodies may not be immune. Simply presenting studies which show that vaccines can stimulate antibody production does not show whether the vaccine will be effective in preventing the illness. In addition people with overstimulated antibody production can have immune problems such as allergies, eczema, asthma and autoimmune diseases such as Type 1 diabetes, Lupus, Multiple Sclerosis andRheumatoid Arthritis. These illnesses can all be caused by vaccines and have been dramatically increasing since the 1950’s. So by focusing on stimulating antibody production with vaccines we are in fact missing the most important aspects of immune function and could be causing more immune problems than are being solved. If you found this excerpt useful why not download our free introductory Vaccine eBook at the top right of this page?